ESTA is pleased to offer four days of curated education at The NAMM Show 2019, January 24-27. Register for the conference at esta.org/namm using promo code ESTA@NAMM and not only will you receive 50% off the $50 registration cost, but all of ESTA’s sessions and nearly all of the education being offered at NAMM are included! ESTA’s education is divided into four tracks: Lighting & Electrical, Lighting Networking, Rigging, and Safety. ALL of ESTA’s sessions will offer ETCP renewal credits. 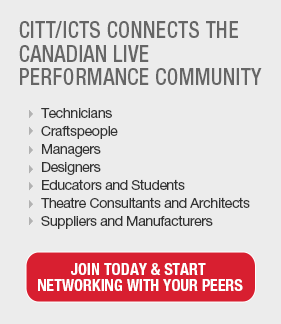 That’s 80 renewal credits available to ETCP Certified riggers and electricians for free. Do not miss this incredible opportunity! Seating is first-come, first-served, though a small number of seats will be reserved for qualified ETCP certificants who email their preferred class schedule to NAMMedu@esta.org. A full list of sessions, along with links to show registration and hotel reservations, is available at esta.org/namm. ESTA is very proud to partner with several organizations for our 2019 educational lineup, including Lighting&Sound America/PLASA, IATSE, the Event Safety Alliance, the International Association of Venue Managers, and PLSN. Check out the session details and start making a plan for your NAMM Show experience at esta.org/namm. Four full days of Safety-related education will cover topics such as working at height for non-riggers, managing crowds, risk assessment, and general safety in event planning. Don’t miss IATSE’s OSHA 10 training on Saturday and Sunday (attendance both days is required) or the co-branded session by ESTA, the Event Safety Alliance, and PLSN on Thursday afternoon presented by ESA’s Steve Adelman. This session will be 30 minutes of lecture followed by 90 minutes of interactive workshop. The Lighting & Electrical track will bring together industry experts in lighting design, power distribution, the National Electrical Code, and more. Join Richard Cadena (Lighting&Sound America/PLASA), industry lighting designers including Susan Rose and Daunte Kenner, and other industry experts in exploring the latest in lighting and electricity. The Lighting Networking track will cover basic, intermediate, and advanced entertainment protocols and networking (DMX, RDM, ACN, ethernet networking, show control). Leading network and control protocol experts John Huntington, Scott Blair, Kevin Loewen, Paul Kleissler, Milton Davis, and Wayne Howell will present on Saturday and Sunday for two full days of high-quality geek-speak. The Rigging track features three days of in-depth rigging training, including Rigging Math, Automation in Performer Flying, Truss and Ground Support Systems, and Working at Height Safely, by leading industry experts Bill Sapsis, Eric Rouse, Paul Sapsis, and Elmer Veith. Most of the rigging sessions are all-day sessions, so be sure to plan your schedule accordingly. For more information contact NAMMedu@esta.org. ESTA, the Entertainment Services and Technology Association, is a non-profit trade association based in North America with members around the world. ESTA's members are responsible for creating some of the most important programs in our industry including the Technical Standards Program, Entertainment Technician Certification Program and Rental Guard. By joining ESTA you are investing in the future of the entertainment technology industry. Membership in ESTA supports: increasing safety through the development of standards and certifications; educating members and providing business resources to increase profitability; representing the interests of the industry to government, regulatory bodies, and related industries; and raising the bar for ethical and professional behavior.